Shame we didn't have the before photographs. However this installation is a pair of cassette awnings , one 4mtrs wide and one 5mtrs wide . Both project to 3000mm - perfectly aligned with the front glazed section of the patio. Believe it or not...... 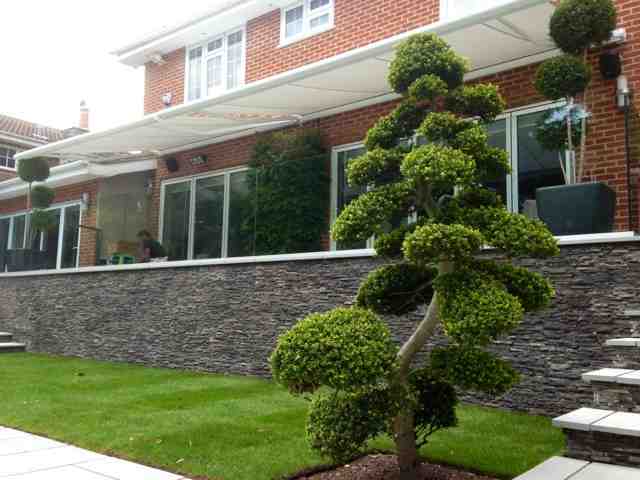 The Bonzai tree cost more than the two awnings !